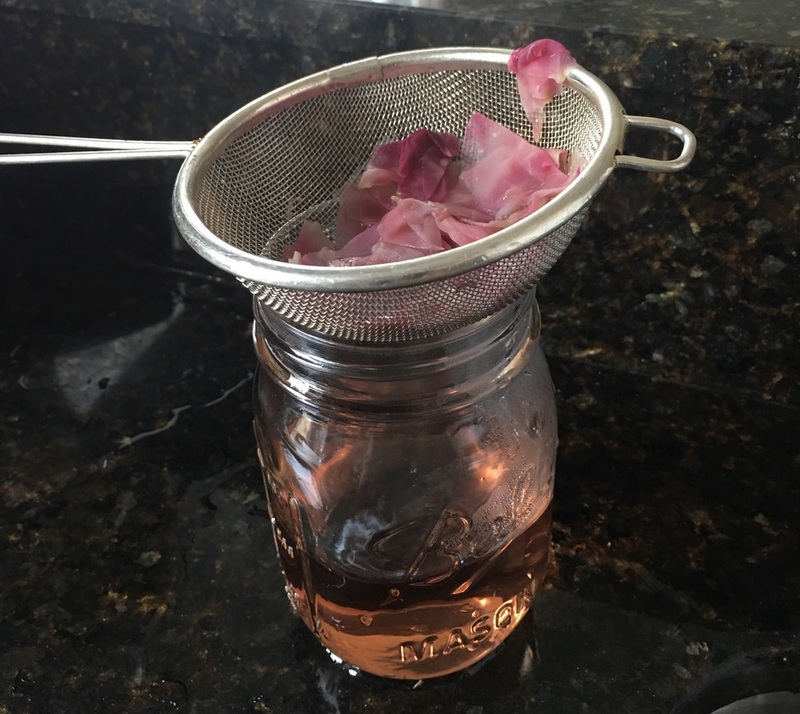 Homemade rose water. Anti-oxidant and Anti-aging. One of my favorite things in the world is fresh flowers. I love them - peonies, freesia, gerbera, jasmine, tulips, orchids, even roses (despite the fact that they never seem to last very long!). This week I decided to buy some beautiful bright pink roses to give my apt a bit of love and some color. It was really nice to come home every day to fresh flowers and the scent is so peaceful and calming. It was a busy week in NY and I really needed to bring some peace and tranquility home with me. Today, it dawned on me that I should make some home made rose water. It is so easy to make and I feel so much better using the petals instead of throwing the wilting flowers into the trash. I use it to cleanse my eyes and as a toner every morning. 1. Pick roses from your garden a few hours after sunrise, so they are nice and dry. 2. Peel off and use only the petals (for obvious reasons, get rid of the stems!). 3. Wash the petals to make sure that you remove all bugs and dirt. If you have to use store bought flowers, wash them well to make sure you remove any pesticides etc. 4. Place the petals in a pot of distilled water. Only cover the petals to make sure your do not end up with diluted rose water. 5. Cover with a lid and simmer over low heat. 6. Steam until the rose petals lose their color and the water takes on a beautiful rosey tint. 7. You will see the rose oil floating on top of the water. 8. Strain with cheese cloth into a mason jar or another glass container and store in the refrigerator. So easy. And it looks really pretty in a mason jar or other glass container. I leave one in my shower, so I can splash my face with it. But, I also use it to wash out my eyes and as a toner at night. 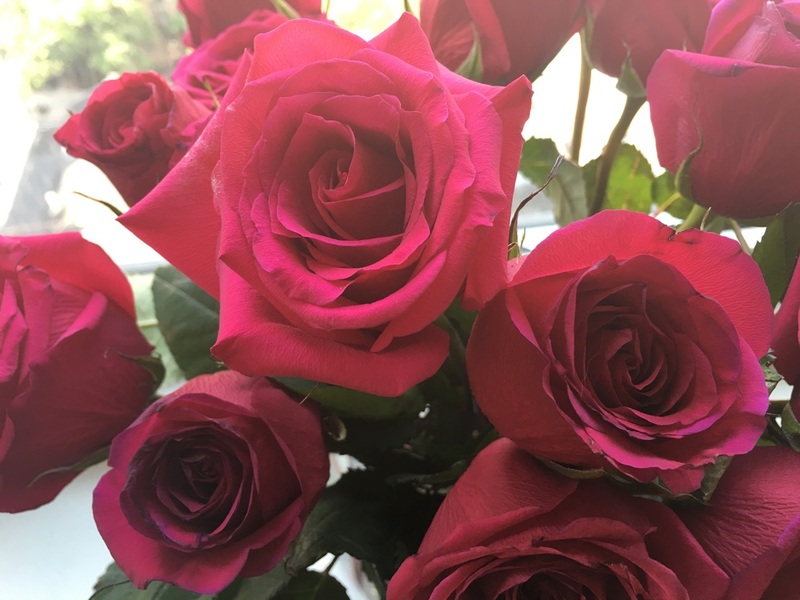 Start with fresh roses with a deep hue. Simmer over low heat until the petals have lost their color and the water is now rosey. Strain the water into a mason jar or another glass container. Store in a cool place or the refrigerator.